By now, you’ve probably heard about the supplemental canvass and the concerns about Eliot’s finances and future. We are looking for help from the congregation. We need to raise a total of $88,000 to close the gaps in the church’s budget for this year. We can do it but we need you! Please read through our needs and check as many items as you can. 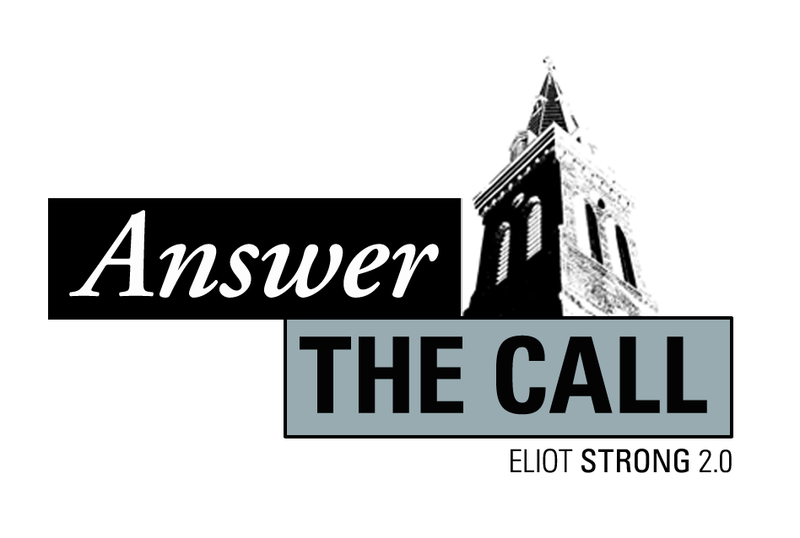 Let us know how you can help Eliot! Increase your pledge to be part of a challenge or match. Make a sustaining gift (make your pledge ongoing, rather than a commitment made just for a year – we will assume you are continuing it until you say to change it). Meet face-to-face with people to increase their pledges. Make phone calls to others. Write personal notes encouraging your Eliot friends to participate in conversations and pledge.